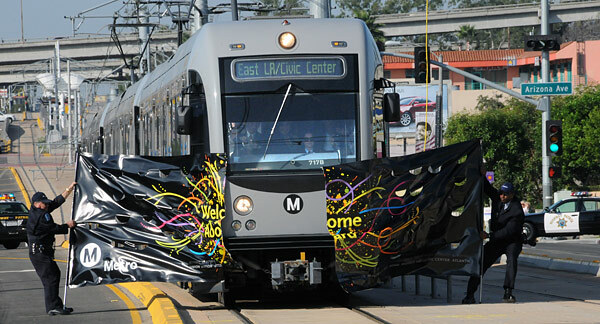 The Metro Gold Line Eastside Extension Light Rail Transit Project has been named the top transportation project in Southern California by California Construction Magazine. Selected by an independent jury of industry experts in design and construction, the Metro Gold Line Eastside Extension was one of 135 projects nominated by industry leaders in a variety of categories in the statewide competition. The winners will be featured in the December 2010 issue of California Construction and will compete in the magazine’s national competition. This is the second award this month for the Gold Line extension — the construction team also won the 2010 Outstanding Government Civil Engineering Project Award bestowed by the American Society of Civil Engineers. The six-mile light rail project was under construction for five years and came in on time and within budget with a perfect safety record.